RealEyes is a technology startup that measures people’s emotions from any webcam. 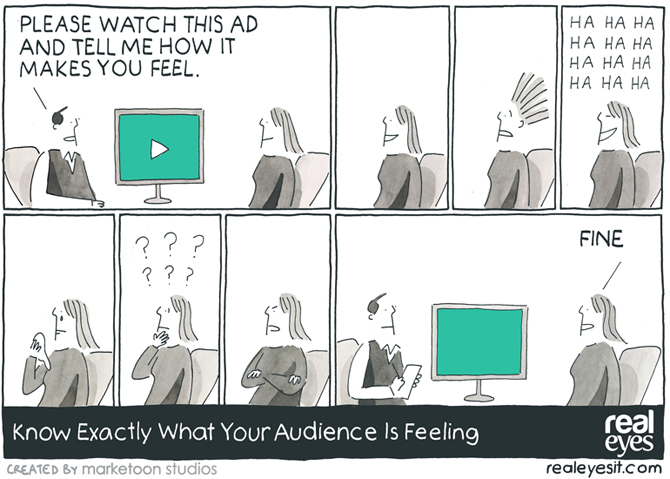 This helps marketers know exactly what their audience is feeling, leading to more effective advertising. 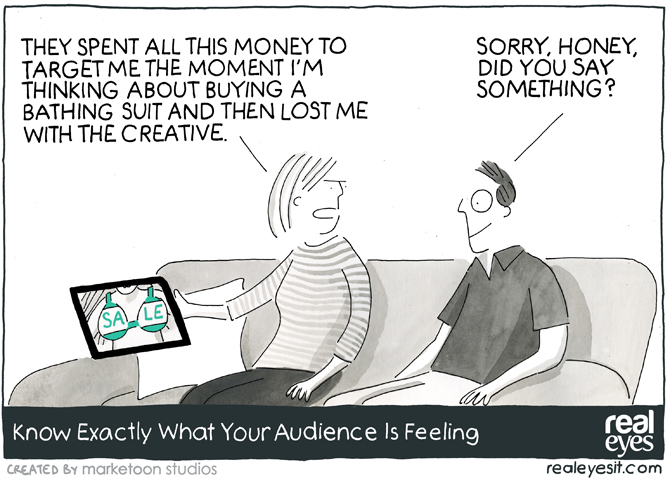 We created a marketoon series highlighting the importance of measuring emotions in advertising. 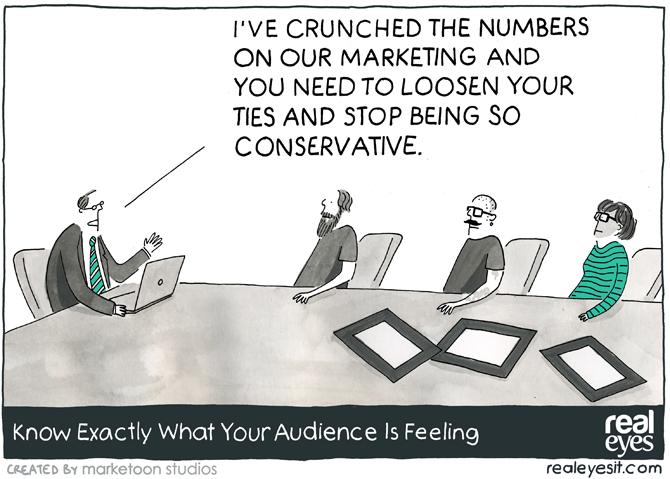 We distributed the marketoons via the Marketoonist newsletter and paid placement in MarketingProfs dedicated emails. We also encouraged sharing through signed print giveaways to influencers. 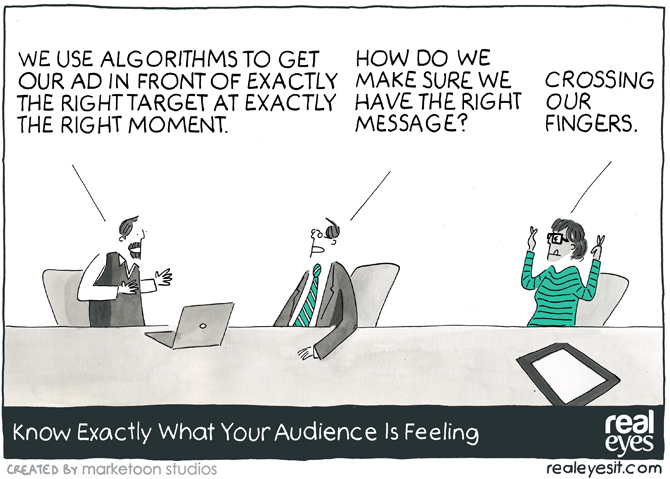 The campaign exceed MarketingProfs open rate benchmarks by 24-38% and click benchmarks by 121-189%.